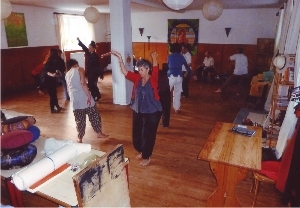 June and July of 2010, Master Sei has visited France and Spain to hold Chi Kong seminar. We introduce some of the pictures borrowed from Master Sei. 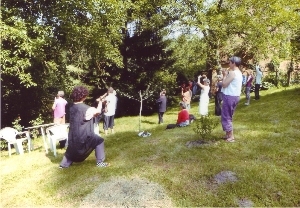 Practicing Zhan Zhuang method in the private garden. 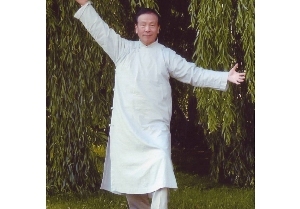 Master Sei in Chi Kong Posture 1. 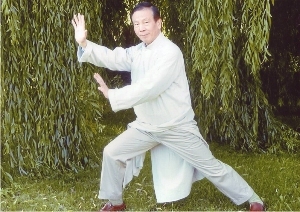 Master Sei in Chi Kong Posture 2. Everyone at the table. 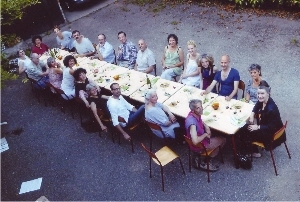 Master Sei sat at the center of the table, the forth person from the left corner. Created on August 1, 2010.